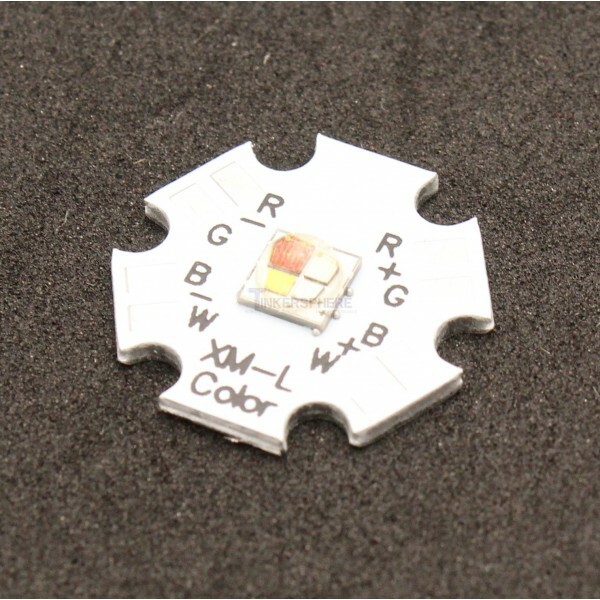 This 10 Watt RGBW LED is just what you need to add a very bright, high intensity light into your projects. 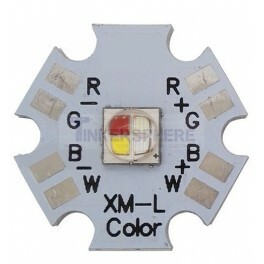 You can set it to virtually any color by powering a combination of the 4 terminals, one each for Red Green Blue and White. 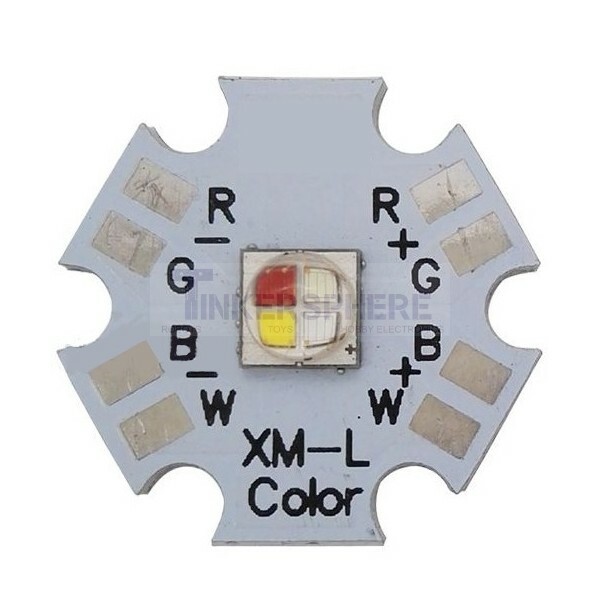 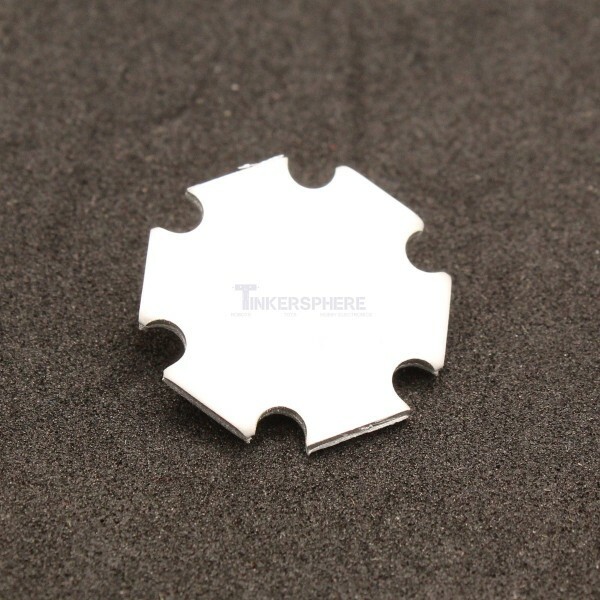 Soldered onto a 20mm metal plate to dissipate any excess heat as a heatsink, this LED provides high brightness without heating up!